I had a breakthrough this morning. I got really really excited about my dehydrator. I was given this little machine a while ago by my man who is always so thoughtful and creative. Honestly, I really didn’t think much of it other than it cost more than I thought it was worth. Well, I am starting to love it. I have been loving eggplant lately, and it dawned on me that it might make a pretty darn good snack when made into chips. I thought I was being pretty innovative with this idea, but after two seconds on google, clearly this has been tried many times by plenty of people!! 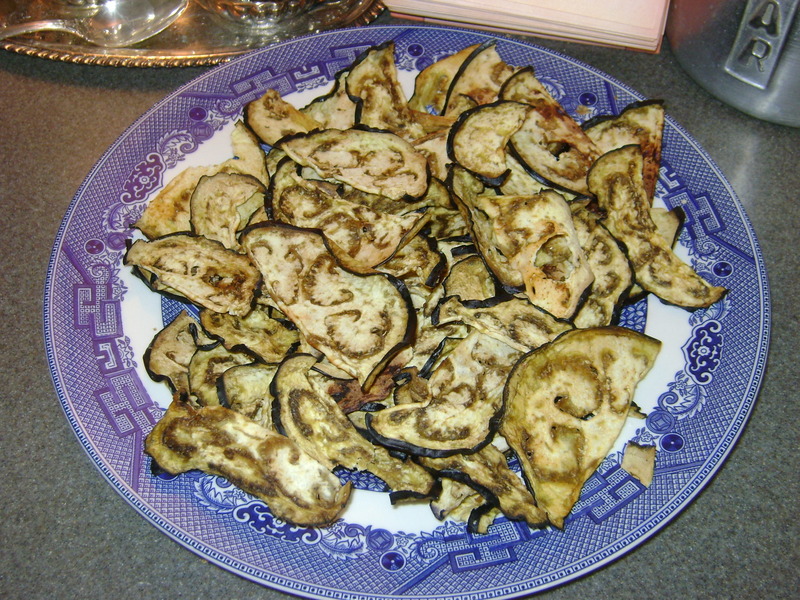 1 eggplant, halved, sliced 1/8″ thick on a mandoline. spray cookie sheet with olive oil using my misto. lay slices flat on cookie sheets spray the tops of the slices with the olive oil. sprinkle with sea salt, or other seasonings to taste. and bake about 10 minutes. transfer to the dehydrator, turn it on to 140 degrees for about 4-6 hours. no dehydrator? flip the eggplant slices every 10 minutes until they reach the desired crispness. watch them carefully. These would be wonderful paired with fresh guacamole. Also, these are so much tastier, substantial, and more functional as actual chips than kale chips. Perhaps I just dont have a palate for kale, or I did not do it the right way, but kale chips are something I just dont get. The swirl pattern of the seeds looked rather whimsical, I really think these are so pretty. I made these yesterday. 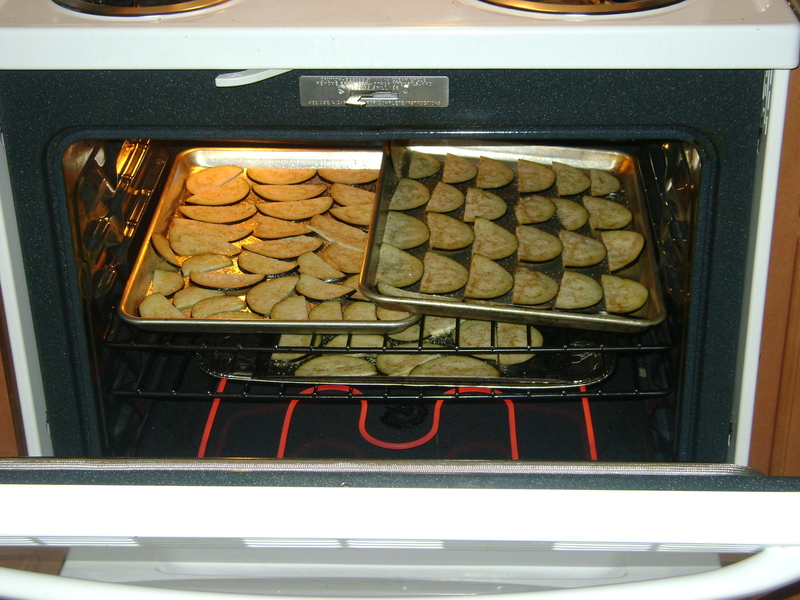 I finally got to them late in the day…too late to whip out my dehydrator…so I baked them and they were delish. Definitely want to try with the dehydrator to make them more ‘chippy’. Baby Joe devoured them too! thanks for the feedback Fran! I am glad to hear they worked without the dehydrator!! Hmmm…I’m thinking of trying this with zucchini, too. I’ll let you know how it turns out!